Murder defendant “cooked” the books? EDINBURG – Not only did Monica Melissa (Palacios) Patterson, 50 years old, steal tens of thousands of dollars from the struggling non-profit hospice for which she worked, according to evidence presented so far during this capital murder trial, but she also “cooked the books,” so to speak. The accounting firm Gonzalez partners hadn’t made an error after all when it performed a Comfort House financial audit three years ago (fiscal year 2014), said the CPA Thursday while under oath. In fact, according to Gonzalez, the board minutes shown to her during her first court testimony Sept. 27, which indicated the board had authorized Patterson to open a new bank account at Falcon International Bank, most certainly weren’t the same board minutes she and her staff used to work up the ’14 hospice audit. “I found it odd that I hadn’t noticed that during the audit,” Gonzalez said Thursday. After all, during an audit of an entity overseen by a board of directors, review of board minutes is standard procedure. One set of board minutes, dated Feb. 27, 2014, indicated that the Comfort House Board of Directors had authorized Patterson to open a new business checking account (Section D), listing herself as the primary (turned out, the only) signee. This set of board minutes was attached to Comfort House bank account records, which had been subpoenaed from Falcon International Bank, which is the bank Patterson used to open the new account. This set of minutes was shown to Gonzalez during her first testimony go-around Sept. 27th. The original set of board minutes was the set handed to Gonzalez, as opposed to the subpoenaed records shown to her in court, in late 2014 as part of the documents she had requested from Patterson so Comfort House’s financial audit for fiscal year 2014 (which ended June 30, 2014) could get underway. This original set of board minutes given to Gonzalez in 2014 to initiate the audit, however, lacked one big missing piece. Nowhere on this set of board minutes was there any section, none whatsoever, that made mention of the Comfort House Board of Directors giving Patterson the authority (permission) to open a new banking account. It already had its main operating account at Compass Bank. The Compass Bank account wouldn’t work, however, because if the accused murderess used that account for her own personal use (based on court evidence) – vacations, restaurant tabs, limo rides, ATM cash withdrawals, shopping for clothes at Dillards, money needed to throw her son the high school graduation party he so richly deserved (which cost in excess of $20,000), yada, yada, yada -- then how might the board react if the board members, many of whom Patterson herself had recruited, ever caught onto that? CPA Melissa Gonzalez testified Thursday that she was so bothered by the board minutes she was shown during her testimony Sept. 27, that she returned to her office after she left the courtroom to peruse the 2014 Comfort House audit file. Surprise. Lo and behold, the board minutes in that 2014 file weren’t the same minutes that had been admitted into evidence. Clearly, something was amiss. For Melissa Gonzalez, this was no doubt personal. Based on her court appearance, it was easy to see that she prided herself on her work as a CPA who dots all the I’s and crosses all the T’s; had worked hard gaining an education and establishing her career; and she was proud to be a partner of the firm her dad, Oscar Gonzalez, had founded in Pharr more than 30 years ago: Oscar R. Gonzalez, CPA & Associates, PLLC. Sure, Assistant Criminal District Attorney Joseph Orendain had asked Gonzalez Sept. 27 if a financial audit could be deemed “complete” if an auditor, any auditor, hadn’t been given all the information requested from the entity being audited (it was clear even back then that Patterson hadn’t turned over to Gonzalez the Falcon account during the audit process). Still, the fact that the evidence as presented to Gonzalez in the courtroom Sept. 27 (the board minutes authorizing Patterson to open a new account), how in the world could she have missed that during the audit process? As it turned out, she hadn’t. Her reputation as a CPA and chief auditor of the Gonzalez CPA firm, as well as the reputation of the CPA firm itself, wasn’t going to leave this murder trial with a black eye, so to speak. No, Patterson owned it; not Gonzalez. Prior to her testimony Thursday afternoon, Melissa Gonzalez emailed the board minutes used for the Comfort House audit to the DA. When Patterson’s four-member defense team learned of its existence, well, let’s just say, it was no time to throw a party. In what has become a common tactic in this long-winded trial, when the defense team representing the accused murdereress is faced with solid evidence that clearly puts Monica Melissa (Palacios) Patterson in a bad light, the plan of attack is to attack the witness. Discredit their testimony (evidence). If you can’t beat the facts, you beat up on the witness. Repeatedly. Such was the case Thursday as Patterson’s lead defense attorney, Ricardo “Rick” Salinas, tried to steer the jury’s focus away from the altered board minutes (nothing to see here, let’s move along) and re-focus its attention on Melissa Gonzalez. If Gonzalez had simply bothered to check with the IRS while the Comfort House 2014 FY auditing process was in play, she would have clearly seen that the Falcon Bank account existed, said Salinas. That’s not a normal part of an auditing process, said Gonzalez. Was Patterson saying definitively that it was Patterson who had “cooked the books (board minutes),” asked Salinas. Someone clearly had, however. An entire section of board minutes doesn’t simply disappear because it was typed using invisible ink. Besides, said Melissa Gonzalez, Patterson was the only Comfort House employee who had provided the CPA firm with all of the requested audit financials, including the board minutes, needed to complete the 2014 financial audit. Did Gonzalez do all the auditing work herself? asked Salinas. No, said Gonzalez, a junior staff member did some of the Comfort House audit work. 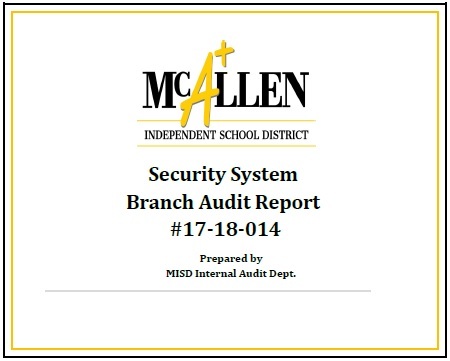 However, as mentioned during the CPA’s previous court testimony, before a Gonzalez financial audit is ever presented to an entity it’s auditing, the chief auditor, Melissa Gonzalez, reviews it, before signing off on it. The ultimate “sign-off” is never left to a junior staff member. How much is the junior staff member paid, Salinas wanted to know, as if that were relevant to Gonzalez’s testimony. Gonzalez said she simply found it strange that something like that could have escaped her notice. When she and her staff do an audit, they do a thorough audit, she indicated, based on the information handed to them. Salinas then got into the issue of a CPA’s liability, and perhaps Gonzalez was worried that “Oh my God, maybe I did something wrong,” after seeing those board minutes presented to her during her first court appearance last month. Gonzalez retained her composure, insisting that she had simply found it strange that the board minutes shown to her, which Salinas had actually asked her to read out loud Sept. 27, made mention of opening a new bank account, about which she knew nothing, and that would have somehow escaped her notice during the auditing process. Salinas then segued into another area. When Gonzalez went back to her office to review the original audit file, wasn’t that an act of self-preservation? But no one was paying Gonzalez to go back to her office after her Sept. 27 court testimony and review those Comfort House minutes used in the audit, Salinas wanted to know. In other words, why had she bothered to do that? I did so, said Gonzalez, in so many words, because she had faith in the work she and her staff did; and missing an entire section of a set of board minutes would indeed be odd if it were, in fact, the truth. Turns out, it wasn’t the truth. Someone had handed the Gonzalez CPA firm a set of original minutes as it began to prepare the 2014 Comfort House audit; and those minutes were not the same fictitious board minutes shown to Melissa Gonzalez during her first court appearance. “When you come here and say that Melissa Patterson dropped off (those board minutes), isn’t (that a case) of blame shifting?” asked Ricardo Salinas, looking at the jurors as if to drive home a point. No, Melissa Patterson signed off on the audit that she had given us all of the board minutes, said Gonzalez. Apparently she had. Only one problem. Section D was missing from the original board minutes Patterson handed Gonzalez. In other words, the section authorizing the accused murderess to open a new bank account, while her board remained deaf, dumb, and blind as to what its chief administrator, who usually waddled into work around 11 a.m., according to court testimony, was actually doing in the world of personal banking. As testified to in earlier court testimony by both the former Comfort House board president and board treasurer, neither had any inkling that the Falcon Bank account existed. Apparently, the only one in the loop was Monica Melissa (Palacios) Patterson.